The load spectrum of machining center (MC) is the data basis for fatigue life prediction. 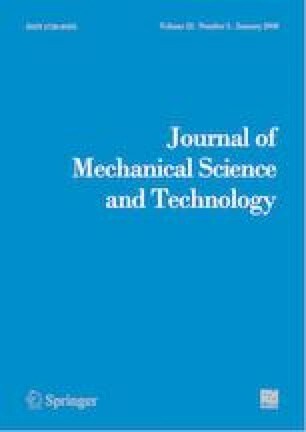 A novel compiling method of dynamic cutting load spectrum of MC spindle is proposed, and then applied to the fatigue life prediction. Typical process parameters were determined based on the data collected in the user field by establishing the characteristic load distribution, and dynamic cutting load was measured using the load test platform. Mean-frequency and amplitude-frequency matrices of the load were obtained by the rainflow counting method, and mixture Weibull distribution (MWD) was used to establish the mean and amplitude distribution. Thus, the two-dimensional dynamic cutting load spectrum of spindle was compiled. The eight-level program load spectrum was established, and then applied to the spindle fatigue life prediction. The accuracy of load spectrum is improved because of the MWD, instead of single distribution, and the complete load spectrum compilation process also improves the life prediction accuracy. Guofa Li received the Ph.D. in Mechanical Engineering from Jilin University Changchun, China (2002). He is a Professor in the School of Mechanical Science and Engineering, Jilin University. His research interests include kinetic analysis of high-speed press, load spectrum and reliability modeling of CNC machine tools. Shengxu Wang is a doctoral candidate in Mechanical Science and Engineering, Jilin University, Changchun, China. His research interest are load spectrum and reliability technology of CNC equipment. Jialong He received the Ph.D. in Mechanical Engineering from Jilin University, Changchun, China. He is a Lecturer in the School of Mechanical Science and Engineering, Jilin University. He focuses on load spectrum, reliability technology of CNC equipment, and industrial big data and intelligent manufacturing.